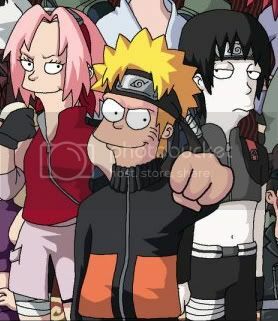 Naruto Simpsonized! Somebody Draw the Anime Simpsons! Want it bigger? Check the source link for a more or less larger image. 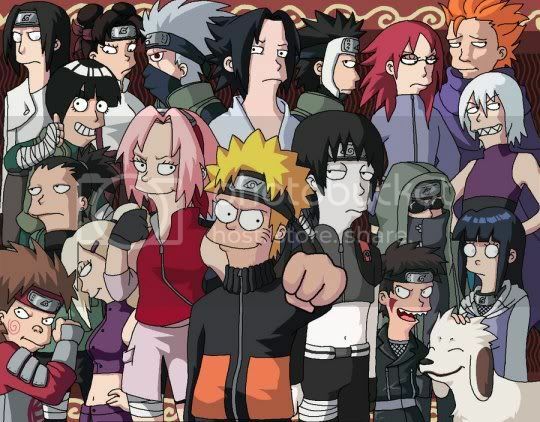 the pink-haired naruto chick looks like nelson's goon (the guy wearing a skull cap)!